Rise of Nations was released back in 2003 but is still considered to be one of the most popular and successful real time strategy games of all time. The game manages to offer vast strategic depth while also being very accessible to players, an achievement that not many RTS games have been able to replicate since. Rise of Nations was developed by Big Huge Games with an expansion pack (Rise of Nations: Thrones and Patriots) and spin-off game (Rise of Nations: Rise of Legends) also being developed by the team. Rise of Nations uses a territory system which limits players to building in areas near their city. As you would expect this territory starts off small and eventually grows rapidly as the player builds defensive structures and technologies. 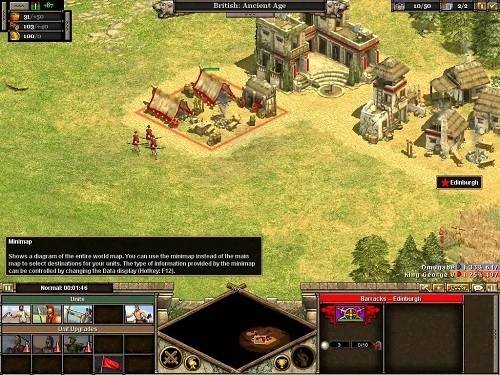 Rise of Nations gameplay has a strong focus on capturing and holding cities as players are limited to the number of cities that can be built. As players gain (or loss) cities their economic advancement will be severely diminished which is fundamental to success in a Rise of Nations match. Rise of Nations has a few other unique features that made it stand out in the real time strategy genre. This includes automatic workers who will automatically get to work if you forget to set them a task. Rise of Nations also offers six different resource for players to manage, although collection is easy due to the infinite patches of resources (the game focuses on optimising collection rather then efficient spending of resources). With the large number of civilisations to experience, massive single player campaign, variety of winning conditions and unique features it is no surprise that Rise of Nations has had the success that it has. It’s simply one of the must play games for fans of the strategy genre. Highly rated real time strategy experience. Plenty of strategic depth to explore. Hundreds of different units to use. Play as 18 different civilisations (24 with the expansion) and guide them through 8 stages in history. A great single player and multiplayer experience. 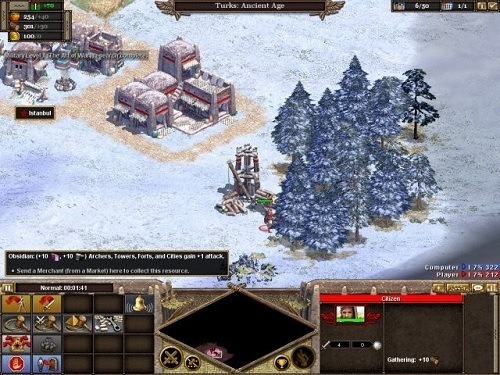 This has got to be THE BEST online rts games ever. Here I find myself looking for a new game to play and can never find anything that matches Rise of Nations. 11 years old and it is unmatched in gameplay truly a masterpiece. Used to love seeing hundreds of people in the online lobby and huge online tournaments and clans, players become pros and even experts.. truly the best. Now youd be lucky to see 20 people online but even today there are a small group of good players who still play and it makes the game feel like it was before with great competition and rematches. 10/10 game, words cannot explain how amazing this game is… if I had the money I would remake this game because there is simply no other real time strategy game like this one. A must try.